Depeche Mode fans scouring Ticketmaster's website for unsold seats to the band's September 20th show, at Gexa Energy Center in Dallas, will find $900 tickets marked "RESALE" just a few rows up from $140 tickets sold for face value. It's part of an experimental new program, TM+, which makes it easier than ever for artists' fans to scalp their own tickets online. "It's safe," says Jonathan Kessler, manager of Depeche Mode. "I would rather our fan base go to Ticketmaster to look at all the inventory of tickets rather than go, 'Oh, that's going to be sold out' -- and just default over to StubHub." Ticketmaster and its parent company, Live Nation, the world's biggest concert promoter, have resold tickets before. What's new about TM+ is artists are allowing resale tickets on the same webpage, often at the same time, as face-value tickets. (The artists themselves aren't scalping the tickets -- fans are making deals with each other, with Ticketmaster as the middleman, just as they do on StubHub or any other resale site.) Why would artists participate in such a thing? Money is one reason -- similar to StubHub, Ticketmaster will collect 10 percent of buyer and seller fees on each transaction and divvy up the revenue with artists (depending on their contracts). Another is control. When fans resell tickets via other resale sites, they're in a marketplace that no artist, promoter or Ticketmaster can do anything about. "There's a lot of bad options in resale -- counterfeit, speculating," says Jared Smith, Ticketmaster's new North American president. "This was our opportunity to do it in a way that's completely safe and secure." Artists from Van Halen to Neil Diamond have been blocking off tickets for resale over the years in order to make additional money through the multibillion-dollar secondary market. They've almost always done this quietly, so fans don't associate their favorite rock stars with the traditionally shady ticket-scalping market. But TM+ shows a resale option on the same page in red capital letters, broadcasting that fans can buy StubHub-style, broker-sold tickets as easily on Ticketmaster as on any other website. The new service doesn't sit well with artists opposed to scalping. In 2009, when Ticketmaster automatically shifted Bruce Springsteen fans to its resale site, TicketsNow, when a show sold out, fans complained so loudly that Springsteen himself had to circulate a scathing letter opposing the move. TM+ would make this process even easier. "It definitely feels weird," says Fielding Logan, who oversees touring for anti-scalping Black Keys and Eric Church as part of their management team. "There's always been a firewall between the primary ticketing site and the resale sites, where scalpers operate." TM+, easier to use than the cumbersome TicketsNow, is optional. Scalping opponents such as Springsteen and Pearl Jam can turn it off, or choose paperless ticketing, which forces fans to show ID at the door with tickets. But so far, some 30 to 50 events have employed TM+, including concerts by Depeche Mode, Black Sabbath and Backstreet Boys. "We've got high hopes that it becomes a ubiquitous part of the experience," Smith says. "Do we think it's going to be widespread through the industry? Absolutely. But do we also intend to give artists control on whether it turns on? Absolutely." Even anti-scalping artists see that the resale market, if it has to exist, might as well play out via Ticketmaster. "I don't think the promoters are even going to think about approaching these artists to say, 'Hey, we're sold out, do you want us to activate the secondary-market option?'" says Stuart Ross, agent for Tom Waits. "But this is just another service. 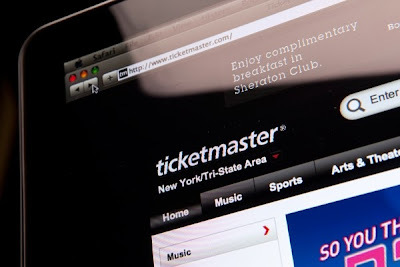 Ticketmaster is trying to beat StubHub at their own game."